Very Good. 192 p. The Baby-Sitters Club Graphic Novel , 1. Intended for a juvenile audience. Intended for a young adult/teenage audience. This graphic novel adapted by Raina Telgemeier, the #1 New York Times bestselling, multiple Eisner Award-winning author of Smile, is now available in full color! 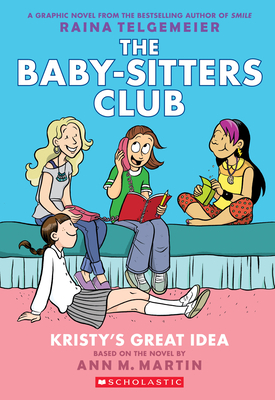 Kristy, Mary Anne, Claudia, and Stacey are best friends and founding members of The Baby-sitters Club. Whatever comes up, you can count on them to save the day. New. 192 p. The Baby-Sitters Club Graphic Novel , 1. Intended for a young adult/teenage audience. Intended for a juvenile audience. New. 2015. Revised, Full Color Edition. Paperback......We ship daily from our Bookshop.